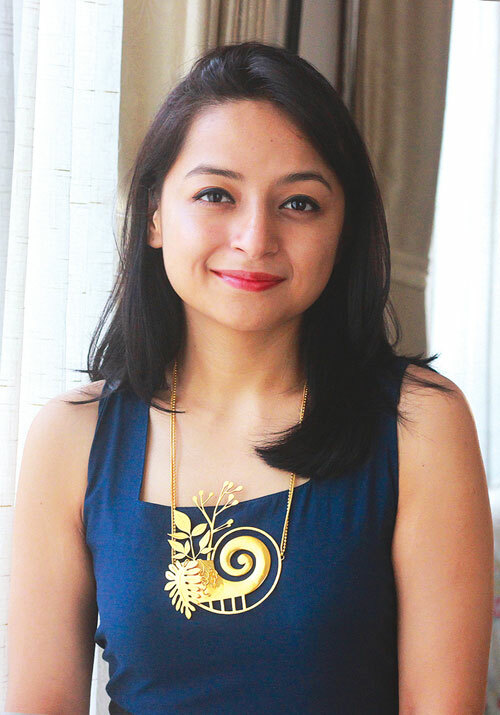 Aayusha Shrestha never really wanted to be a jewellery designer, but after being bored by the similarity in designs displayed in store after store in the streets of Patan, Thamel and Basantapur, she thought there could be a niche market for designer jewellery in Nepal. 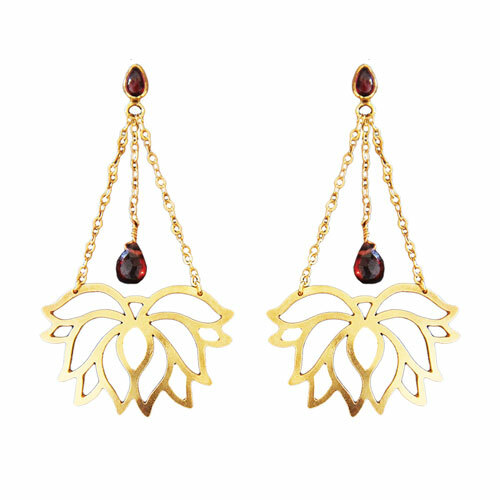 Taking inspiration from Nepali architecture, heritage and her personal life, Shrestha’s jewellery designs are conceptual, intricate and innovative. And for the first time, it is not a foreigner adapting Nepali jewellery for export, but a Nepali designer making them for Nepalis. “The local skills and designs have never been harnessed to make contemporary jewellery in the country. It is always the outsiders who discover these skills, and export it. 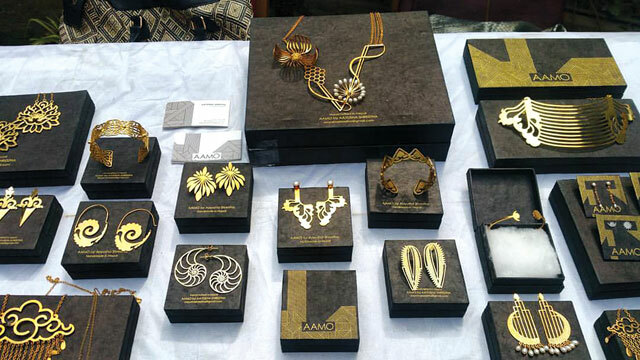 I wanted Nepal to be represented,” said the designer who showcased her own handcrafted jewellery brand AAMO by Aayusha Shrestha last year via Instagram. Another of Shrestha’s series is called Garima, and draws inspiration from heritage buildings in Patan Durbar Square: gold-plated brass neck pieces, cuffs, rings, and hoops have been made to resemble the fading or damaged wood carvings of the historic sites. She has also made a Dharara cuff to commemorate the fallen structure and the victims of the earthquake, a Shakti series dedicated to goddesses, a Chandra-Surya series with the national flag emblems, the sun and crescent moon, to remind us of our roots. Shrestha works with three local artisans at a handicraft workshop in Mahapal in Patan, and aims to introduce new designs every four to six months. Placing emphasis on value of work rather than the quantity, she is determined not to turn the workshop into a sweat shop, a trend popular in Nepal where designers are made to copy and mass produce the design they have been sent. “I always make it a point to take the inputs of the artisans, and they seem to enjoy this kind of an interaction and relationship with their employer,” said Shrestha. She limits her orders to 20-50 pieces for smaller items and five pieces for bigger items, like neck pieces. Not all of Shrestha’s designs are for sale. Believing that experimenting is the only way to growth, she gives her designers the chance to discover new techniques and skills on their own. Given that AAMO has no flagship showroom and the designs are only put up on Instagram, the response has been exceptional given that Shrestha has spent next to nothing in marketting. The designer gradually plans to venture into textile and bags, another area where she has seen a dearth of originality and local skills. “I want to get rid of this notion that local products are supposed to be cheaper, people don’t realise the hard work that goes into making them,” said Shrestha, whose designs can fetch anywhere between Rs 3,000 to Rs 60,000. Even the upsurge in violence has failed to break the political standstill in government. Real social development arises out of the peoples own understandings and agreements of their situation, and their own aspirations for the future.